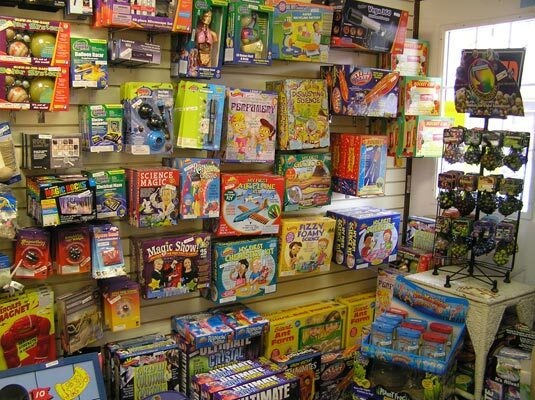 Grandma’s Toy Box is a retail store featuring educational toys, games and puzzles for children & adults. Customers can expect a unique and satisfying shopping experience. Children and adults are encouraged to try out many of the toys and games in uniquely designed play areas. Traditional wooden and classic toys are offered. Children’s small furniture and room decor are also featured with some items personalized for special gift giving. A popular section of the store is the Rock Shop. One of a kind natural treasures await rock hounds of all ages. Open seven days a week, year round.